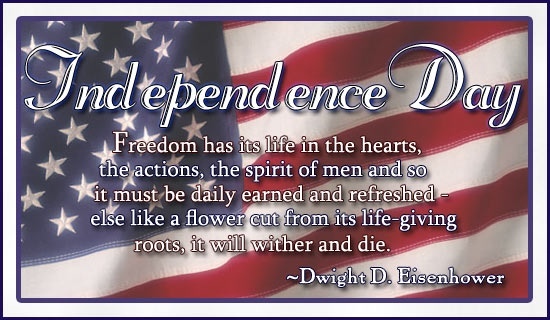 Independence Day, commonly known as the Fourth of July, is a federal holiday in the United States commemorating the adoption of the Declaration of Independence on July 4, 1776, declaring independence from Great Britain. Independence Day fireworks are often accompanied by patriotic songs such as the national anthem “The Star-Spangled Banner”, “God Bless America”, “America the Beautiful”, “My Country, ‘Tis of Thee”, “This Land Is Your Land”, “Stars and Stripes Forever”, and, regionally, “Yankee Doodle” in northeastern states and “Dixie” in southern states. Some of the lyrics recall images of the Revolutionary War or the War of 1812.